The Folk Revival. Greenwich Village. Coffeehouse. All of these phrases go hand in hand to paint a picture of New York’s bustling 1960s folk scene. Populated by some of the most recognizable names in folk music (Bob Dylan, Dave Van Ronk and Joan Baez, just to name a few), this scene produced legends like a college party produces cheap beer and jungle juice. Greenwich Village stands as the famous home-base of this movement, but outside of Manhattan, in a city called Saratoga Springs, stood what would become the longest continually running coffeehouse in the country: Caffè Lena. Lena Spencer, with the help of her husband Bill, founded Caffè Lena in 1960. Since then, it has hosted the likes of Bob Dylan, Pete Seeger, Mike Seeger, Emmylou Harris and more recently: Arlo Guthrie, Rufus Wainwright, Tift Merritt and more. Upon Lena Spencer’s death in 1989, the cafe became a non-profit entity, and those who happen to live in upstate New York can enjoy regular shows and open mic nights. But for those of us who aren’t so fortunate, the Caffè will soon debut a compilation of previously unreleased tracks titled Live At Caffè Lena: Music From America’s Legendary Coffeehouse, 1967-2013. 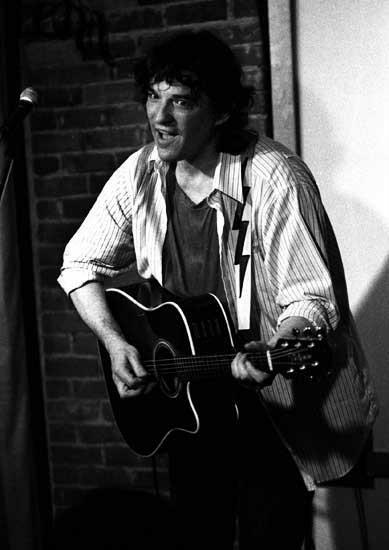 One of the many gems on this three-disc set is The Band’s Rick Danko performing “It Makes No Difference,” originally featured on the album The Last Waltz documenting their farewell concert of the same name. Live At Caffè Lena: Music From America’s Legendary Coffeehouse, 1967-2013 will drop on September 24.